Facebook Marketing has gained the first choice for marketing products, services and brands now-a-days. INFOS INDIA gives you the facility to promote your brand on Facebook as we are working as a Facebook marketing companies in india. Our company INFOS INDIA creates a page of your brand and then promotes it to boost the brand awareness. Through our Facebook Marketing Service we will advertise your facebook page in all over your targeted places so you can reach higher brand resonance and online sales using Facebook. 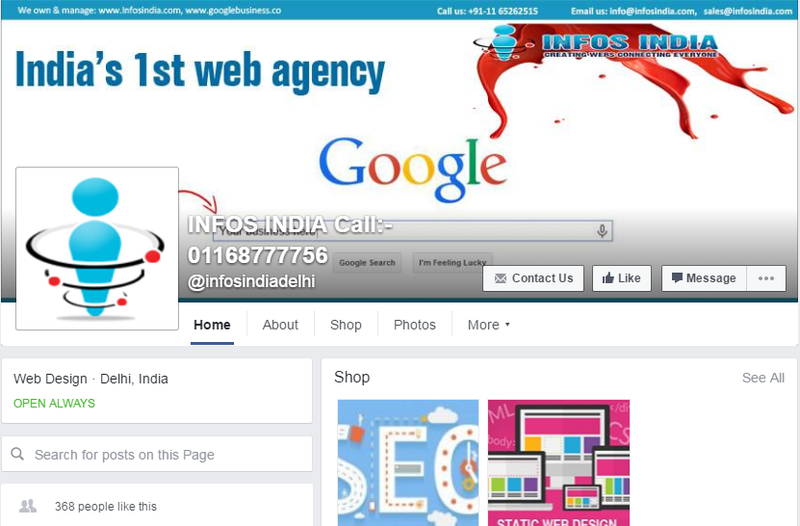 INFOS INDIA helps you in promoting your business on Facebook that leads to the growth of your products and services. Increase Exposure to potential customer.